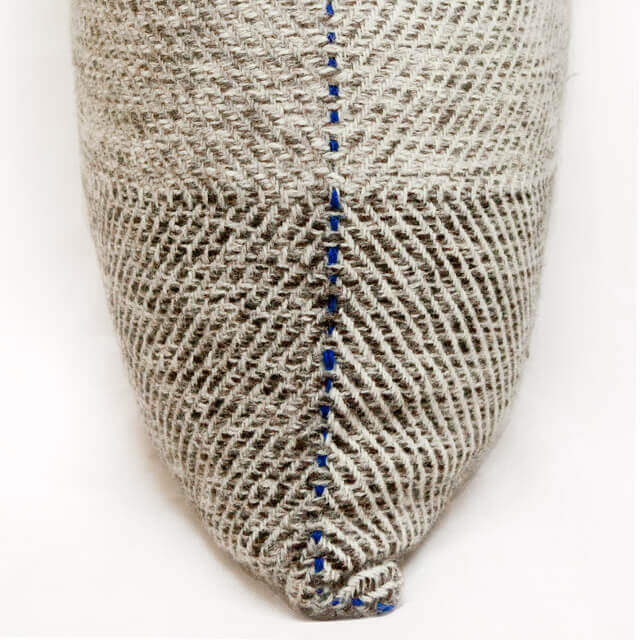 Zero-waste style for the eco-conscious home, and comfy too! 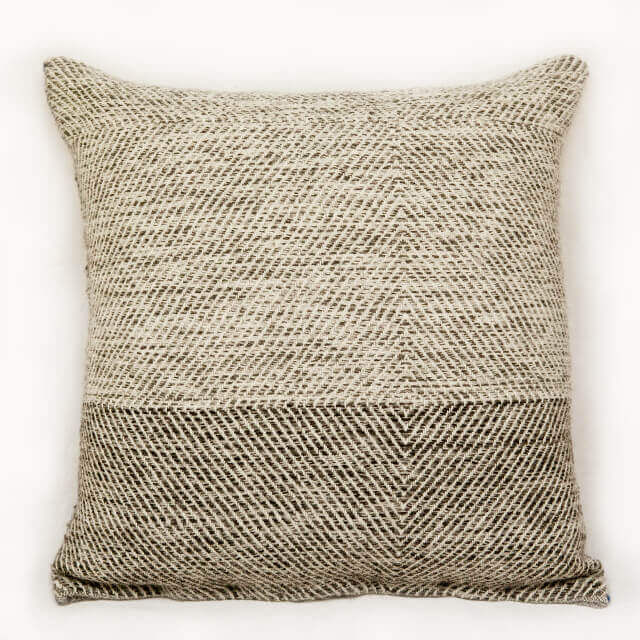 A large double-sided hand-woven floor cushion made from the highest quality of undyed British wool in natural shades with a coloured detail round at the edges, in a classic bold twill pattern. 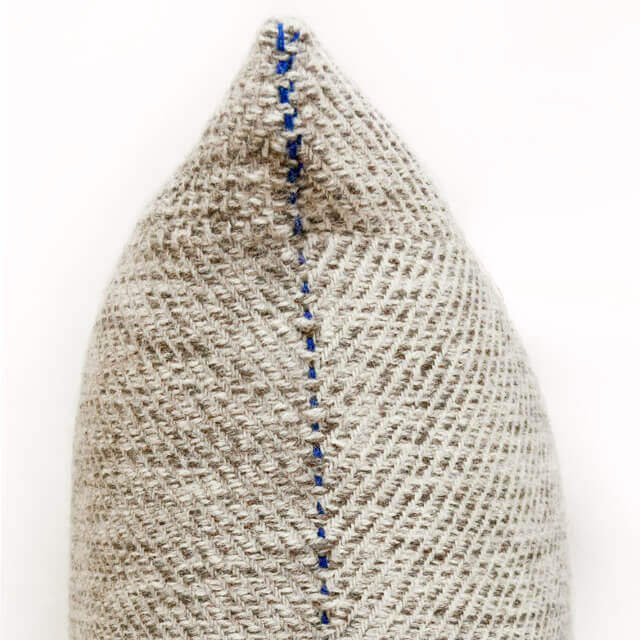 Filled with British wool BWMB Platinum Certificate- ‘Dorset Horn’ and 100% heavyweight cambric cotton cover; so it will never lose its shape and freshness.